Just before the much awaited release of The Elder Scrolls Online: Elsweyr this June, Bethesda is releasing one more DLC called Wrathstone and it’s coming pretty soon on both consoles and PC. The Wrathstone DLC gamepack will be released for PC and Mac on February 25 and for PlayStation 4 and Xbox One on March 12. This new DLC will challenge players to uncover both halves of the mysterious Wrathstone tablet with two all-new, four-player dungeons: Depths of Malatar and Frostvault. In Depths of Malatar, players will investigate sunken Ayleid ruins and discover the fate of a lost Imperial cohort. While in Frostvault, players must work to navigate the glacial rifts beneath Eastmarch in order to gain access to an ancient Dwarven vault. Both new dungeons will feature challenging monsters and bosses and provide fantastic new rewards including powerful item sets and unique collectibles. 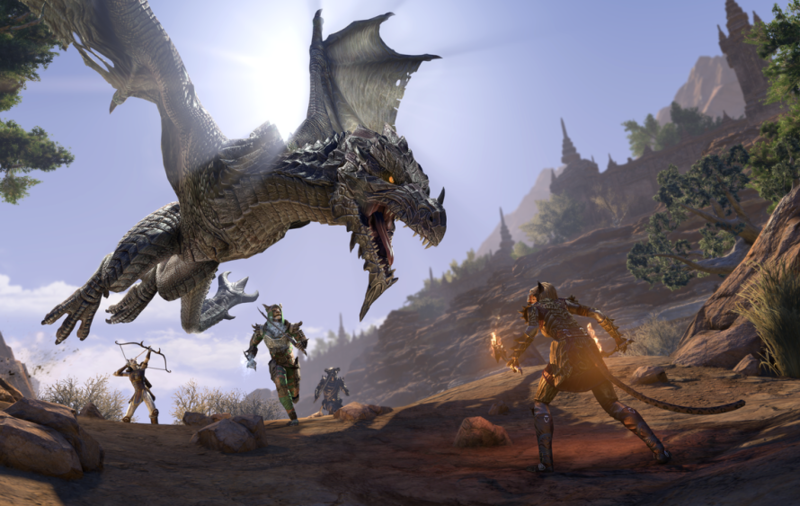 In addition, the release of the Wrathstone DLC will also kick of the Season of the Dragon year-long adventure, starting a journey that will take you to ESO’s next Chapter, The Elder Scrolls Online: Elsweyr, and continue throughout the entirety of 2019. Alongside the release of the DLC, a free-base-game patch that includes new additions and fixes such as brand new Battleground and PvP rewards, the new Zone Guide system, and an update to the Guild Trader UI will be released as well. Fortunately, the Update 21 is free for all ESO players.